If the golden rule in motorsport is that a driver shouldn't hit their team-mate, that a driver should beat their team-mate is not far behind. After all, what better benchmark is there than the driver(s) in the adjoining garage, generally driving the same equipment? 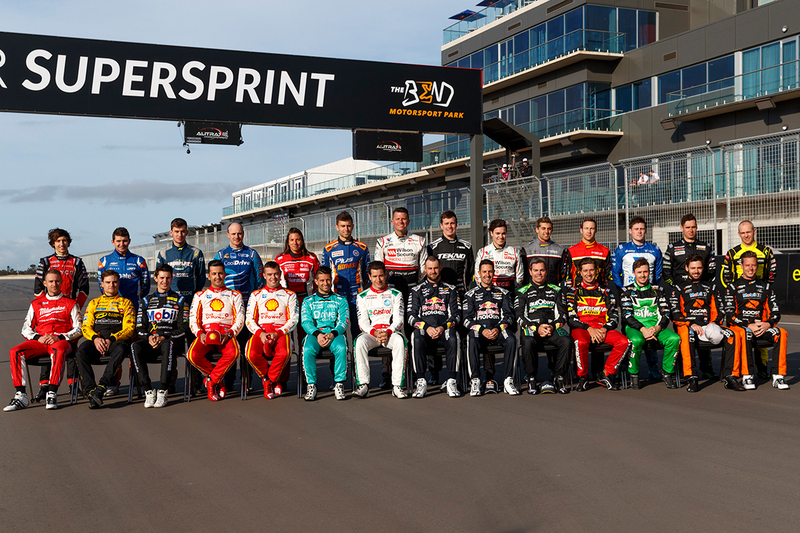 Eight multi-car teams contested the 2018 Virgin Australia Supercars Championship, accounting for 22 of the 26 full-time drivers. Who won those battles? 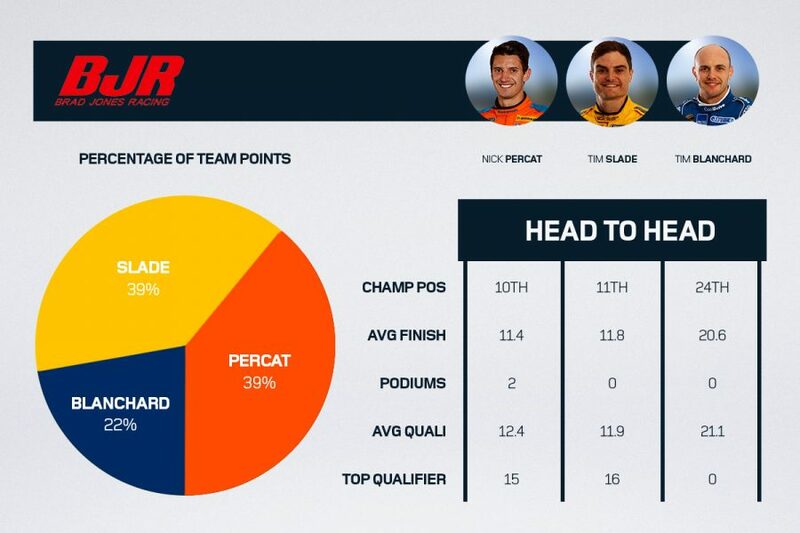 Supercars.com crunches the numbers based on what each driver achieved in the championship, race finishes and raw pace in ARMOR ALL Qualifying. 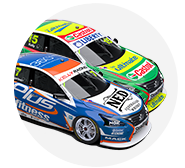 It was an experienced charger and a rookie at Garry Rogers Motorsport in 2018. Garth Tander scored a podium in the Adelaide opener and naturally led the way as James Golding learned the ropes. 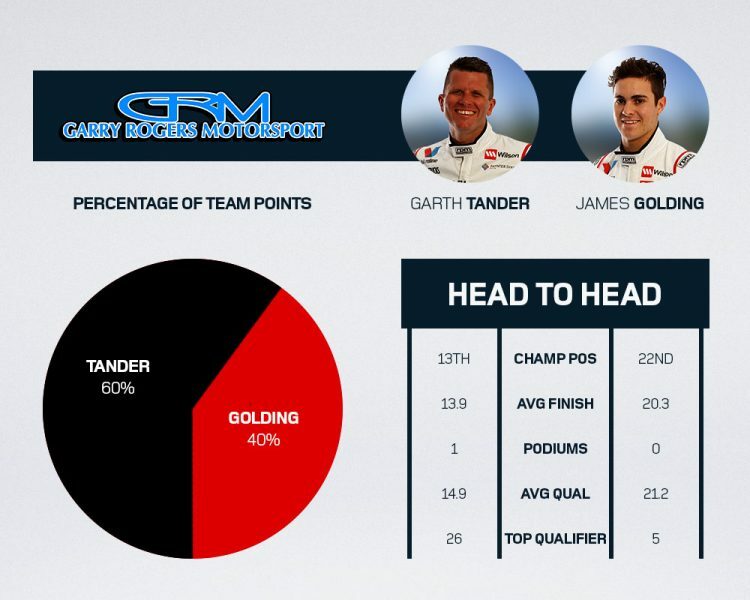 The GRM Holdens weren't quite as strong as in 2017, but Tander did marginally improve his qualifying average, even if his race results were a slight step back. Golding out-qualified Tander on five occasions and was far from outclassed after spending 2017 without a full-time drive. 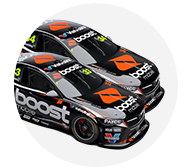 He joined Tander in grabbing a top 10 finish at Bathurst, and was third of the five rookies in the standings. In the year Nissan announced it would be ending its financial backing of the Altima project that started in 2013, there was something of a return to form. The team that failed to record a podium in 2017 claimed five, and a race win for Rick Kelly at Winton. 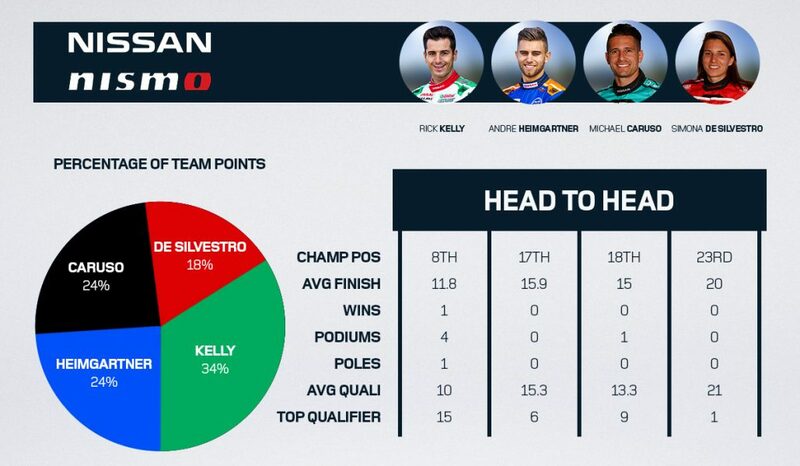 Kelly got the most out the improved package; not only taking his first victory in a Nissan but his first in Supercars since 2011 in a timely reminder of his quality. Eighth in the championship was also the highest recorded by an Altima driver. Michael Caruso was the next best on pace, but his campaign was marred by unreliability, eventually shaded in the standings by 10 points by Andre Heimgartner. Heimgartner enjoyed a strong end to the season, while Simona De Silvestro was largely third or fourth in the quartet. 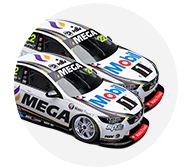 In their second season as BJR team-mates, there was little to separate Nick Percat and Tim Slade. They finished 10th and 11th in the championship, split by just 41 points, with their average qualifying and finishing positions both within 0.5 spots. Slade shaded Percat over a single lap by the barest of margins, but Percat finished the year with BJR's only silverware, a pair of podiums at Albert Park. Tim Blanchard did not join their fight, but improved his own average grid position by nearly a full place from 2017, in his final full-time season. 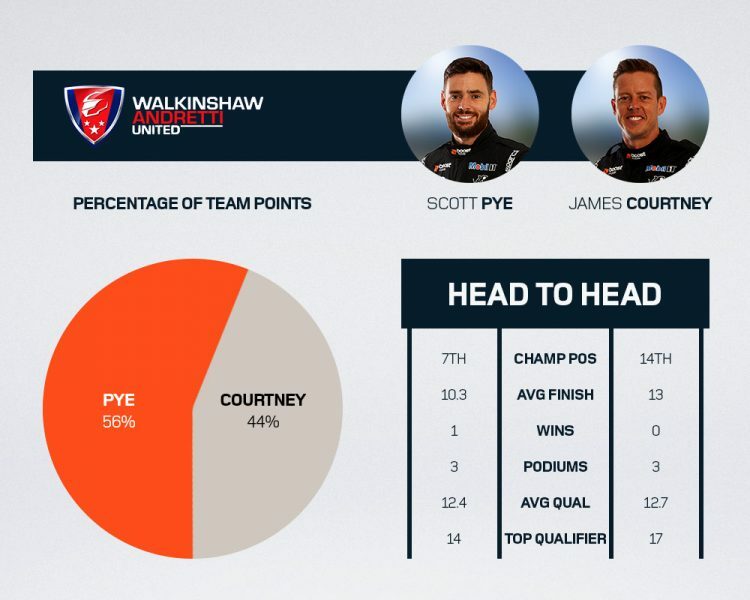 Scott Pye and James Courtney were more evenly-matched on outright pace than you'd think with one finishing seventh and the other 14th in the championship. 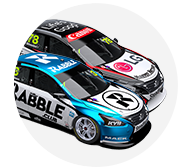 Pye outscored Courtney for the second time in as many years with the Holden outfit, which moved back towards the top of the order after its 2017 nadir. He generally had the upper-hand in races and claimed its only victory at Albert Park, while both drivers snared three podiums. Courtney out-qualified Pye 17 times to 14 across the 31 sessions, but Pye actually came out on top on averages by 0.3 grid spots. That is shaped by the fact that both drivers qualified in the back half too often, with consistency a focal point in 2019. 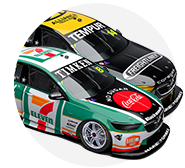 Part 2 will follow tomorrow, with Erebus Motorsport, Tickford Racing, DJR Team Penske and Triple Eight.